When choosing packaging tape, the environment in which you seal is an important consideration. 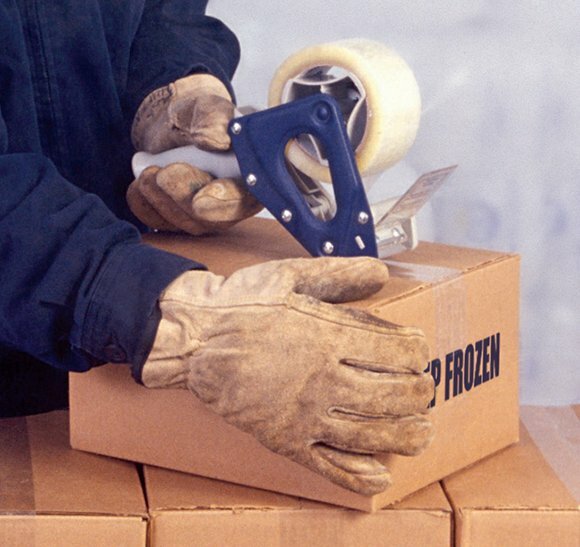 Harsh, cold conditions (under 35 F), such as those found in frozen foods, meat and poultry processing, dairy facilities, and unheated warehouses and storage facilities in cold weather climates, may affect the performance of your packaging tape, making it harder for the tape to maintain its hold. In the past, hot melt tapes were often overlooked for these environments because the adhesive would harden too quickly, making it nearly impossible to apply. But, not anymore, thanks to the specialized tapes now available. Shurtape cold temperature packaging tapes – HP 132® and HP 232®, are specially formulated with a synthetic rubber/resin hot melt adhesive that generates an instant, permanent bond in subfreezing temperatures. They are also engineered with a special release coating, which makes the tape easy to unroll. Shurtape cold temperature packaging tapes can be applied with PrimeLoc tape applicators, which generate the wipe-down pressure necessary to activate the tape’s adhesive, allowing it to entangle deep with the carton’s fibers to create a secure seal, no matter the sealing environment. Ready to tackle your cold environment case seals? Contact Us Today To Discuss Your Unique Case Sealing Needs!